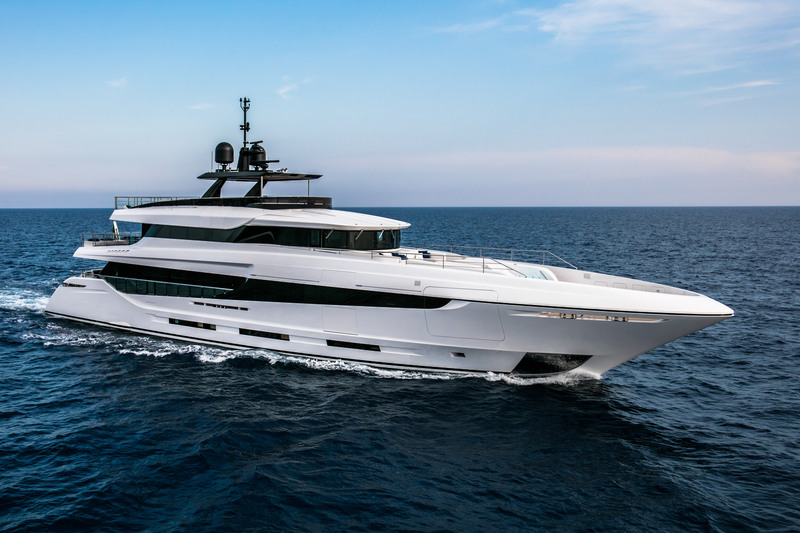 Mangusta recently announced the sell of the Oceano 43, the Long Range three deck as interpreted by Overmarine Group. The Mangusta Oceano 43 stands out for her great onboard liveability, impressive long range, and maximum comfort – the result of the perfect harmony and understanding between designer Alberto Mancini and Overmarine Group’s Technical Departments. Built in steel and aluminum meeting the most stringent construction standards, this vessel is really unique. 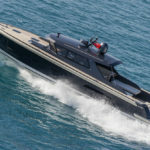 Her cutting-edge technology and design allow her Owner and all guests to experience unmatched onboard comfort in the most diverse conditions and the most exotic locations – an incredible versatility that goes hand in hand with an onboard lifestyle normally found on much larger yachts. 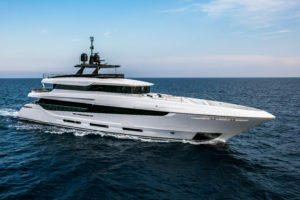 The forward infinity pool – featuring two separate sunbathing areas that ‘dive’ into the wonderful pool with a waterfall – and the aft beach club – where the hatch opens up to reveal a multifunctional area and converts into a swimming platform – are only two examples of the perfect combination of Design and Technology found on this yacht.